Sixteen-year-old Billy spends the summer with his gay uncle in Tucson and works at a racetrack where he falls in love with an outspoken horse exerciser named Cara Mae. Ron Koertge is the author of many prizewinning novels for teens, including STONER &amp; SPAZ, winner of the PEN Literary Award. 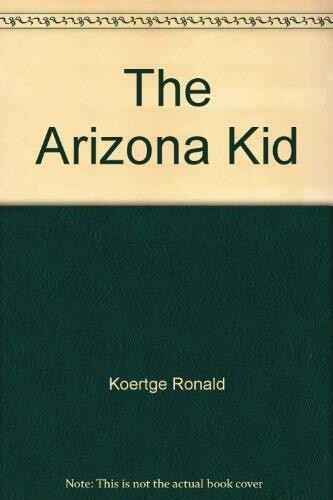 He says, &quot;THE ARIZONA KID is one of my favorite novels. It combines Tucson and horseracing, and also serves as a memorial to a friend who passed away.&quot; Ron Koertge teaches in the MFA in Writing for Children Program at Vermont College.